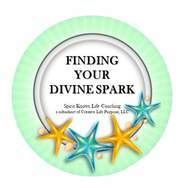 The content of the sessions you (the client) receive from Finding Your Divine Spark, Spirit Knows Life Coaching, or Talking With Toes, subsidiaries of Creative Life Purpose, LLC, is subject to your own interpretation, and in no way constitutes, nor is intended to replace psychological, medical, financial, business, legal, or other advice. You (the client) understand that intuitive readings, spiritual guidance, coaching, or hypnotherapy sessions are offered for the purpose of your personal or spiritual development, potential healing, or spiritual advisement. These sessions are, in no way, predictive and there are no guaranteed outcomes. You (the client) understand that we are not qualified to answer questions pertaining to medical, psychological, financial, or legal issues. The content of the sessions you (the client) receive from Finding Your Divine Spark, Spirit Knows Life Coaching, or Talking With Toes, subsidiaries of Creative Life Purpose, is subject to your own interpretation, and in no way constitutes, nor is intended to replace psychological, medical, financial, business, legal, or other advice.